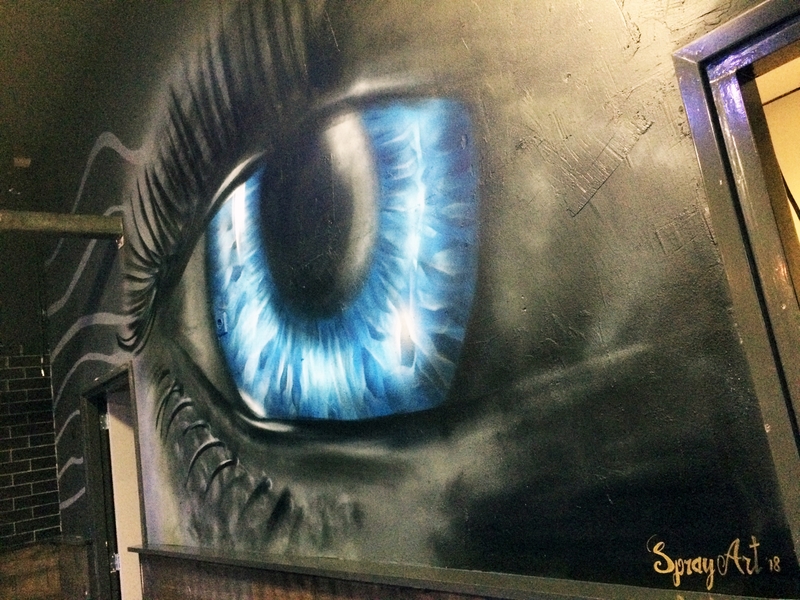 A brand new Club asked us to supply the murals with ART in STYLE. We gave them a 24 carat gold flake logo of their sponsor, 5 meter high trees. A fancy Cocktail bar, a panther backdrop behind the DJ, a #CueAngels wall to promote photoshoots + a Gold Flake entrance.